Yale Himalaya Initiative (YHI) with a focus on the themes of Environment, Livelihood and Culture brings together diverse disciplinary interests to consider critical questions in the Himalaya and beyond. The Yale Himalaya Initiative brings together faculty, students, and professionals across Yale University whose work focuses on the Himalayan regions of Nepal, India, Bhutan, Pakistan, and China, as well as the Tibetan cultural areas that traverse the borders of all those states. We engage with the Himalaya as a significant transnational space for research and practice. Its location at the edges of the traditional area studies units of South, East, and Southeast Asia demands creative academic approaches. We therefore aim to create the first comprehensive, interdisciplinary University-led initiative in North America that explores the Himalaya as a transregional whole, while recognizing its ecological, social, and political diversity. Looking down from China’s Tibetan Autonomous Region to the border with Nepal: Photograph by Sara ShneidermanFocusing broadly on the themes of environment, livelihoods, and culture, we support the development of teaching and scholarship on topics related to the Himalayan region by drawing upon the combined intellectual resources of members across the Yale community. We encourage the widest possible interdisciplinary participation, in collaboration with scholars, practitioners, and communities in the Himalayan region itself. The Yale Himalaya Initiative will develop innovative research agendas and methodologies that address historical and contemporary issues of local, regional, and global relevance. The Initiative’s scope spans the humanities, social sciences, natural sciences, and professional disciplines. Zhechen Monastery drum: Photograph by Andrew QuintmanIt draws upon the expertise of faculty members in departments of the Arts and Sciences (Anthropology, History, History of Art, Religious Studies), Yale’s professional schools (Forestry and Environmental Studies, Law, Management, Medical), and other University centers including the MacMillan Center for International and Area Studies, and the Global Health Initiative of the Jackson Institute for Global Affairs. The Initiative builds upon existing research projects and strong disciplinary networks to promote broader collaborative efforts at Yale, while also developing lasting partnerships with research institutions, government agencies and NGOs throughout the region. Mark Turin is Program Director of the Yale Himalaya Initiative. These themes bring together our diverse disciplinary interests to consider critical questions in the Himalaya and beyond. Focusing our attention on the interconnections between the natural and social worlds in the Himalaya, historically as well as in the present, these themes also point towards issues of broad concern for the regionally integrated study of environmental, economic, and social transformation. They are starting points for our multi-faceted inquiry and collaborations, which we expect to lead towards a wide array of projects that will take us far beyond their limits to conceptualize both scholarly and applied problems in new ways. "It is also a region of fascinating cultural and spiritual heritage, where millions of people from diverse cultures and religions, live alongside these unique species." 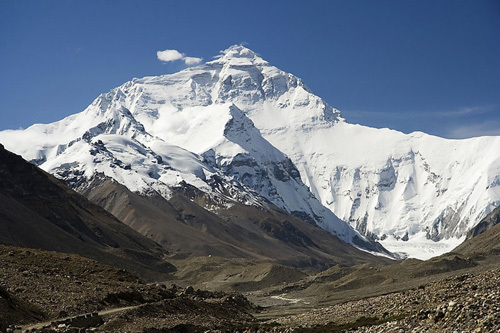 The Himalaya are the highest mountains in the world, with great biodiversity and ecological variation. There is no single modality of land use in the Himalaya; rather, some areas experience heavy forest use and development, others have seen the creation of protected areas and conservation initiatives, and still more support small-scale agriculture and agro-pastoral systems. Patterns of land use have changed over time in relation to political and environmental transformation. Currently, the Himalaya is a source of ecosystem services for several countries in the region, yet is particularly vulnerable to the effects of global climate change. Many religious traditions in the region value mountains, rivers, rocks, and other environmental features as sites of divine power, so the natural world plays a key role in shaping worldviews and cultural practices. All of these dynamics present opportunities for challenging but rewarding research, particularly when carried out in consultation and collaboration with local communities and organizations. Himalayan people rely upon on a combination of agrarian, pastoral, and wage labor to create diverse economic strategies. In an area with limited arable land and complex social hierarchies, livelihood choices are constrained by both environmental and cultural factors. Buckwheat in Sangdak Village: Photograph by Sam CowanDecisions about how to use environmental and cultural resources are in turn shaped by these economic choices. In many areas animal husbandry forms the backbone of agrarian aspects of the economy, with various forms of herding, pastoralism and transhumance found across the region. 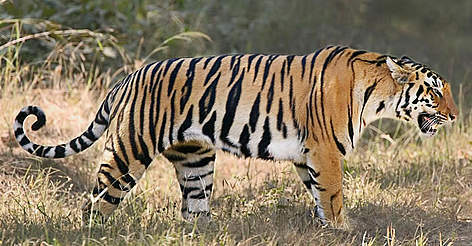 In addition to domesticated animals, wildlife remains an important component of life through hunting, its impact on agriculture and its religious or ritual role in agrarian life. Despite the popular image of the Himalaya as an isolated Shangri-La, cross-border as well as rural-urban migration for the purposes of trade, wage labor, and pilgrimage has long been an important feature of life. Such mobility brings Himalayan people into contact with a wide range of cultural, political, religious, economic, and environmental attitudes, which they bring home along with the remittances that play a key role in transforming local economies. Rapid urbanization in metropolitan areas like Kathmandu, Gangtok, and Thimphu has important environmental, cultural, and economic consequences that can only be fully understood from an interdisciplinary perspective. The Himalayan region is home to a remarkable array of ethnic and linguistic groups, and serves as a seat for several major religions, including Hinduism, Buddhism, and Islam, as well as a variety of local indigenous beliefs and practices. For well over a thousand years, such traditions in the region have generated important forms of textual and cultural production. Literary collections in Tibetan, Sanskrit, and Newar serve as primary canons for the study of religious doctrines and practice. Together with an extensive archive of Nepali, Hindi, and Lepcha texts, they also provide rich resources for studying the social, cultural, economic, and environmental history of the region. Oral traditions in many more Himalayan languages further express the breadth and depth of indigenous knowledge. Tankas, also known as thangkas, are hanging scrolls or fabric temple banners that consist of a painted: picture panels (called mélong in Tibetan, which means 'mirror'), usually depicting buddhas, mandalas, or great practitioners, which are sewn into or bordered by a textile mountings. Tankas are intended to serve as records of, and guides for, contemplative experiences and visualizations. From the Beinecke Rare Book and Manuscript Library, Yale UniversityThe Himalaya are also the seat of some of the world’s richest visual cultures and artistic traditions. As the source of several major rivers, and the site of numerous sacred mountains and shrines, pilgrimage forms a central aspect of Himalayan religious life cutting across modern geo-political boundaries. 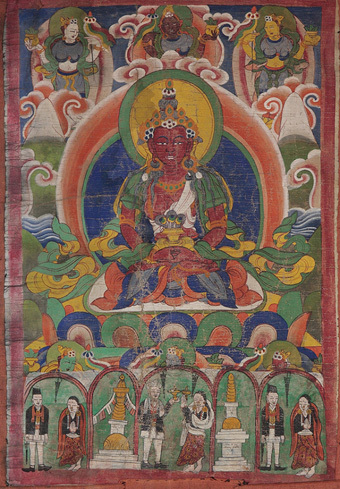 In February 2013, The Beinecke Rare Book & Manuscript Library digitized and hosted its unique collection of Tibetan thangka online for free, with a powerful zoom function that allows users to view the rich details of each painting. The Beinecke is Yale University's principal repository for literary papers and for early manuscripts and rare books in the fields of literature, theology, history, and the natural sciences. 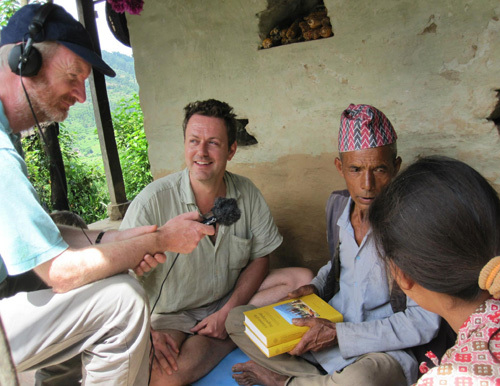 The Digital Himalaya project was designed by Alan Macfarlane and Mark Turin as a strategy for archiving and making available valuable ethnographic materials from the Himalayan region. Based at the Department of Social Anthropology at the University of Cambridge, the project was established in December 2000. From 2002 to 2005, the project moved to the Department of Anthropology at Cornell University and began its collaboration with the University of Virginia. From August 2011, Digital Himalaya is colocated at Cambridge and Yale Universities. Note: Unless otherwise noted the information contained in this article and the images are from and courtesy of the Yale Himalaya Initiative. This is the first of the articles on the Yale Himalaya Initiative published on the Horizon International Solutions Site on 6 December 2013.